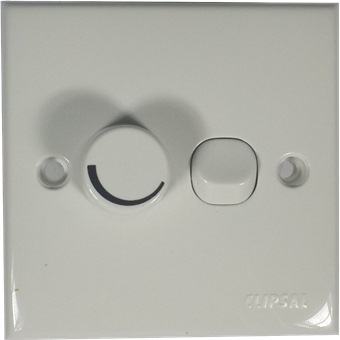 CLIPSAL FAN CONTROL E32V400F is rated 3.0 out of 5 by 1. Rated 3 out of 5 by tikenlim from Not the same as the old switch I have an old Clipsal fan switch that can no longer set variable speed. However, this new switch is wired differently internally, and I could not use it. In the end, I used the wiring of the old switch, and swapped over the rheostat from this new unit.